Working in full 8 hours in the office and looking at your computer screen all day, causes your eyes to strain or stress. That’s why ViewSonic unveils an advanced series with Flicker-Free display technology. This technology aims to eliminate screen flickering, and will positively impact the comfort and eyesight of all types of users by preventing the occurrence of CVS (Computer Vision Syndrome). With ViewSonic Flicker-Free Technology, the eye care of our customers is out main focus. When using a desktop computer for work, web browsing, video conferencing, movies, gaming or Facebook chatting, people tend to star at the screen for periods of time and blink less. It causes the surface of the eye to be left drier, and leads to elevated intraocular pressure from constant eye adjustments, eye fatigue, eyelid twitching, headaches and other eye-related problems. ViewSonic VX52 Flicker-Free gaming monitor series, including 24-inch VX2452mh and 22-inch VX2252mh, delivers on the promise of more comfortable viewing. The products cut out flickering completely at all brightness levels by using exclusive ViewSonic Flicker-Free Technology to offer a constant LED light source. Moreover, ViewSonic Flicker-Free Technology integrates DC-modulation backlights to offer true Flicker-Free viewing comfort. More than just giving the appearance of Flicker-Free, the technology maintains a steady stream of direct current power to keep the light continuously on. In fact, this technology provides a steady, controlled current at both high-and low brightness – something other displays can’t match. The VX52 series of displays feature Full HD 1920x1080 resolution for unbelievable pixel-by-pixel image performance. A superior dynamic contrast ratio of 50M:1 better defines the relationship between the darkest and brightest colors, ensuring all displayed images are rich and detailed. The VX52 series also features ViewSonic’s proprietary Game Mode technology that enhances visibility and detail by brightening the dark scenes of video games for the ultimate gaming experience. ViewSonic’s ClearMotiv™II imaging technology delivers ultra-fast 2 millisecond liquid crystal response times, creating smooth images without streaking, blurring or ghosting. For further flexibility, the VX52 series includes integrated D-sub, DVI and HDMI inputs, and comes with dual built-in 2-watt stereo speakers for multimedia enjoyment. This blazing-fast response time is perfect for the most graphic-intense gaming needs, and just as great for watching sports or action movies. Enjoy blur-free digital broadcasts and full-motion graphics. 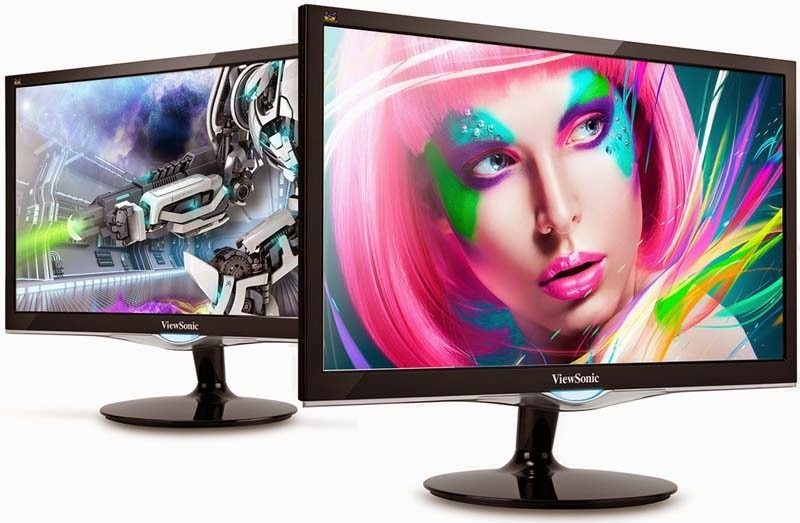 For more information about the product(s), please visit the ViewSonic website (click here). *Disclosure: An important note, we are just sharing this information to the public, provided by our source. ViewSonic Info / Logos / Photos / Images have respective copyrights. i haven't encounter flicker in my monitor, maybe hindi ko lang napapansin, this might solve some eye strain.